It hasn’t been the best month for cryptocurrencies, with the market shedding as much as $50 billion in the first two weeks of September alone. For some like Ethereum, the month has been outright brutal, with the most valuable altcoin registering its lowest price of the year at just over $170. However, the trend is slowly reversing and the market is seeing consistent green, with most cryptos regaining much of the value lost in the past two weeks. Ethereum has been among the biggest gainers, registering a 10 percent gain in the past two days to trade at $223 at press time. Bitcoin has held steady over $6,500 over the past two days for the first time in the past week, with other altcoins such as Tezos, EOS, NEM and Monero also registering notable gains to take the total market capitalization above $200 billion. Having sunk to $6,200 a week ago, Bitcoin made quick gains to trade above $6,500 where it has consistently held out despite the unpredictability of the market. The king of cryptos was trading at $6,535 at press time, having appreciated 0.4 percent in the last 24 hours. The volume traded decreased to $3.3 billion, down from $4 billion traded the previous day according to data from CoinMarketCap. Bitcoin had dropped to just above $6,200 days ago after a sudden flash crash hit the market, wiping out consistent gains that had put the biggest crypto at a 30-day high of $7,380. The second-most valuable crypto, Ethereum has fought back after registering a yearly low of just over $170 days ago to trade above $200 for the third consecutive day. Trading at $223, Ethereum gained 3.3 percent in the last 24 hours and 30 percent in the past three days. At $170, this was the lowest Ethereum has hit since July 2017 and an 85 percent drop from its high of $1,400 achieved in January this year. Ethereum’s price drop was accompanied by comments made by its founder Vitalik Buterin who a week ago stated that the days of 1000-times growth in crypto were behind us. After several industry leaders disagreed with him including Ethereum co-founder Joseph Lubin, he retracted his statement and accused media outlets of misquoting him. 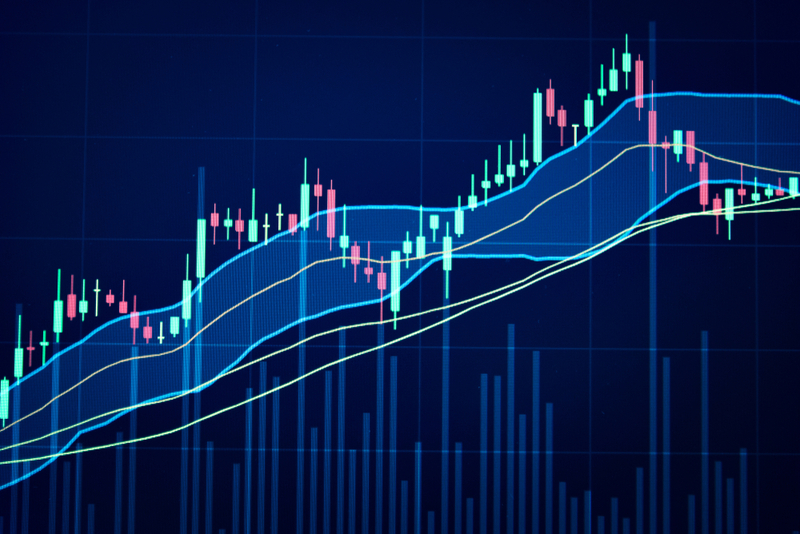 Other notable gainers in the top ten include EOS which has appreciated by 11 percent in the past two days to trade at $5.43 and Monero which at $118 has gained 21 percent. Most notable is Litecoin which hit its lowest price for the year at $48 two days ago, down 38 percent for the month and a staggering 87 percent from its January record high of $371. The seventh-most valuable crypto has gained 18 percent in the past two days to trade at $57 at press time. The total market capitalization stands at $204 billion, standing above the $200 billion mark for the second day in a row after hitting a yearly low of $191 billion days ago. Bitcoin’s dominance has continued to rise, currently standing at 55 percent. It has dropped briefly from its all-year high achieved just days ago at 57 percent when most altcoins crashed, shedding billions of dollars in market cap. Bitcoin’s dominance has continued to rise since May when it stood at 36 percent as the largest crypto has managed to withstand some of the severe market fluctuations.